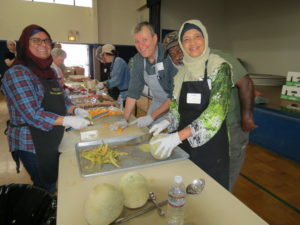 Respecting each other and showing love for one another builds strong communities. 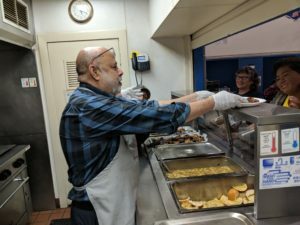 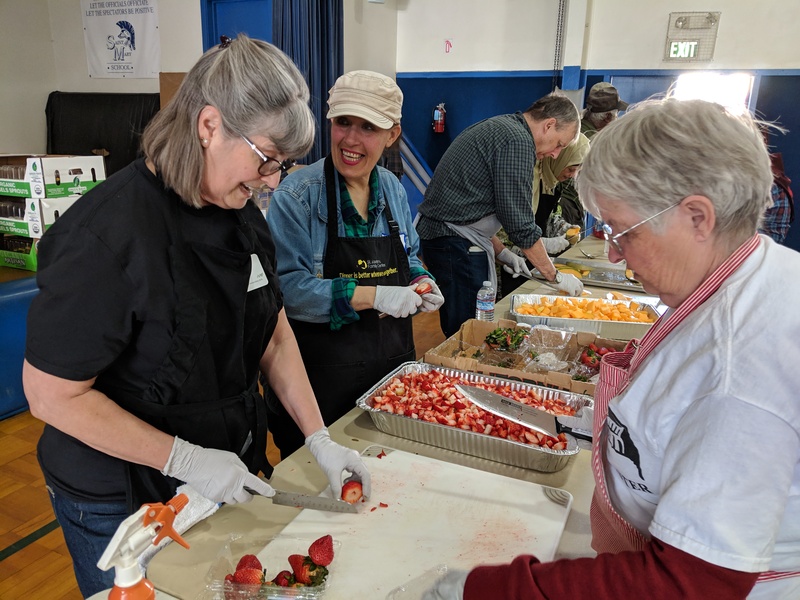 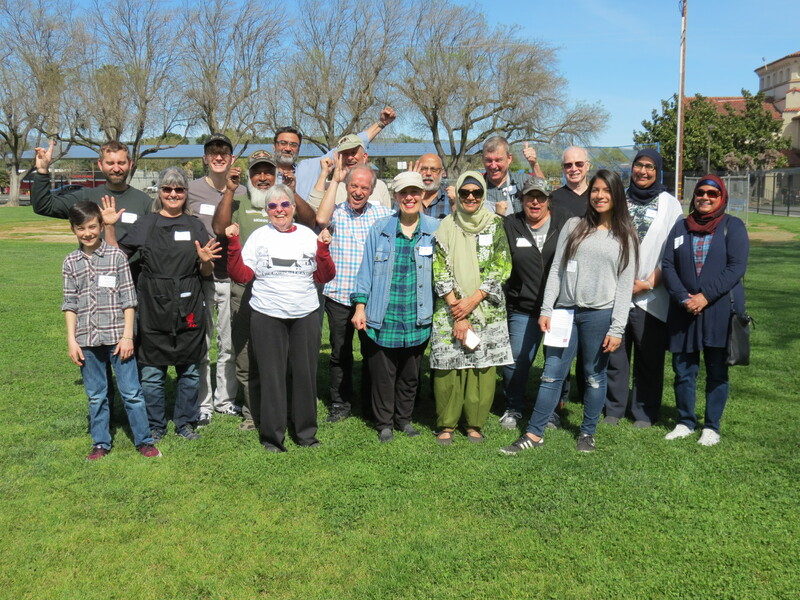 This was illustrated beautifully at The Lord’s Table recently when AAi, Abrahamic Alliance International, cooked and served a delicious BBQ dinner for our homeless community in the South County. 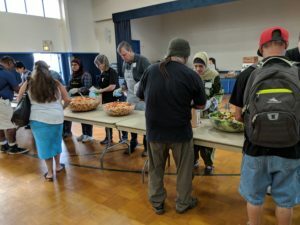 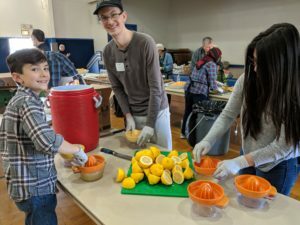 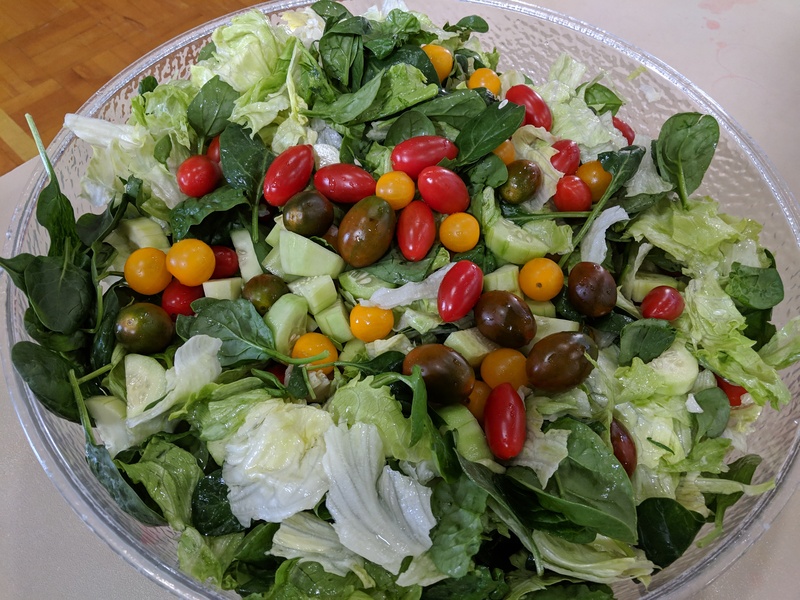 The spicy barbecue chicken, seasoned beans, garlic bread, fresh tossed green salad, colorful fruit salad and freshly squeezed lemonade was enjoyed by over 130 people! This partnership actively demonstrates the true purpose in life is to show compassion and to serve!